If you’re tired of using your Wii to get a workout, you might try something a bit bigger. This SNES controller is fully functioning and 40in long. Which means you’re going to have to work a little harder to get through all of your favorite classic games. Having to reach that far across and effectively press down on the buttons would probably prove to be more challenging. 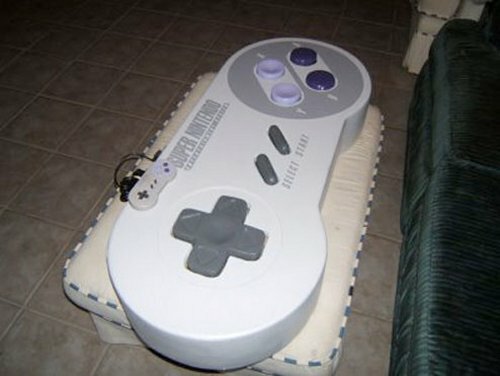 If you look closely you can see the normal sized SNES lying on the enlarged version. Which only makes this giant reproduction look even bigger. When it comes to audio, trust Swiss maestros Logitech to know what they’re doing. This time round, the company has decided to unleash the new Squeezebox Boom all-in-one network music player upon us, boasting an integrated amplifier accompanied by high-performance speakers as well as a simplified setup. Logitech aims to simplify the wireless music experience in your home with the Squeezebox Boom, and prides itself in being the CD player of the 21st century, although I thought that the iPod has by far and large already beat Logitech to that moniker for a long time already. This may appear to be just a regular pop can. One with odd and cheaply done artwork along the sides. However, this can is another mini humidifier in disguise. It’s meant to sit on your desk just like the Personal Humidifier that utilized a water bottle. However, this can will blend in with your daily caffeinated beverages instead of stick out like the other humidifier. The only thing to set it apart is the USB cord and on odd looking top. Well and not to mention it puffing out bits of steam. I suppose normal cans don’t do that, so that would look a little odd. 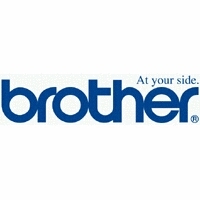 Brother isn’t exactly the number one name that you would normally associate with printers, but then again they do have some pretty decent offerings in the past and currently. This time round, Brother has rolled out a couple of models under the Professional Series banner, featuring all-in-one color inkjets. Those seem to be the most popular type of printers these days, since everybody wants convenience in a single device. Of course, the downside would be, having the printer break down equals to disaster since you would be devoid of the other functions and features as well. The two printers we’ll look at today are the new MFC-5890CN and MFC-5490CN models.